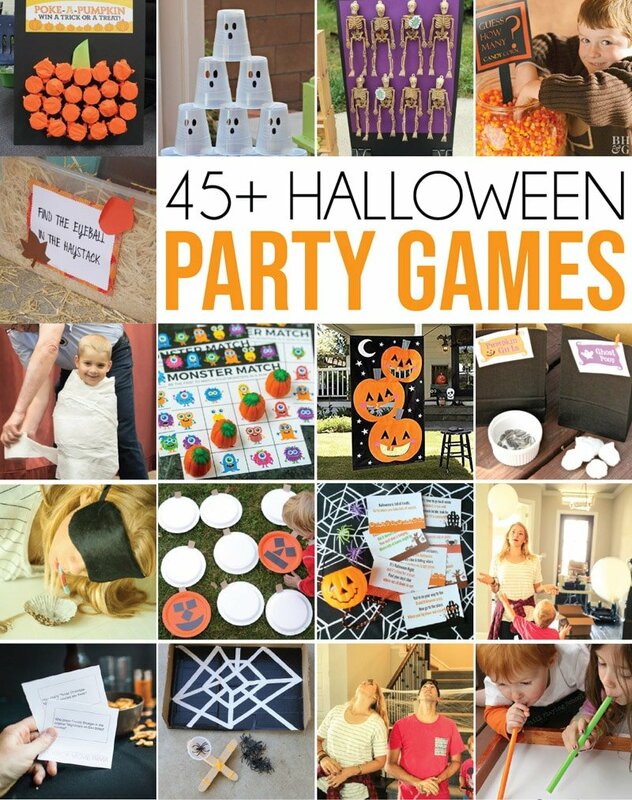 If you’re looking for Halloween party games that are perfect for all ages, you’ve come to the right place. 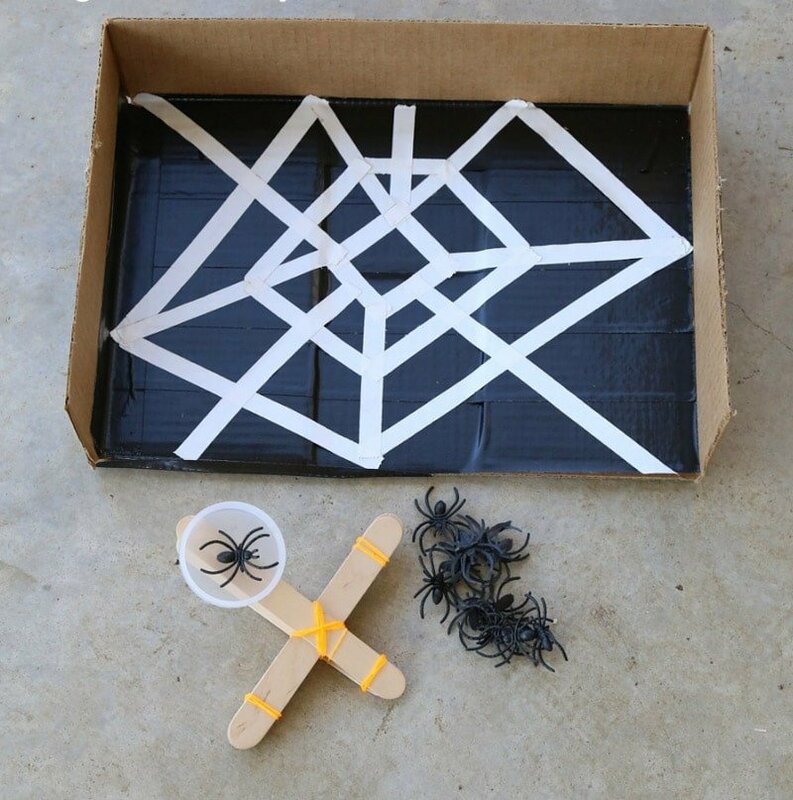 With a list of over 45 hilarious Halloween games that range from wrapping someone up like a mummy to tossing spiders into a spiderweb across the room, these are some of the most fun Halloween party games out there. They’re perfect for an adults only Halloween party, a classroom Halloween party, or even just a kids pre-trick or treat party. And I should know since I’ve hosted some sort of Halloween party for the past 10 years! I’ve put together a list of the best Halloween games for all ages I could find including Halloween minute to win it games that we’ve played every year! There are a number of different sections below including Halloween games for kids, Halloween games for adults, and even Halloween games for seniors! This post contains affiliate links. If you purchase anything via these links, I may receive a small commission at no additional cost to you. 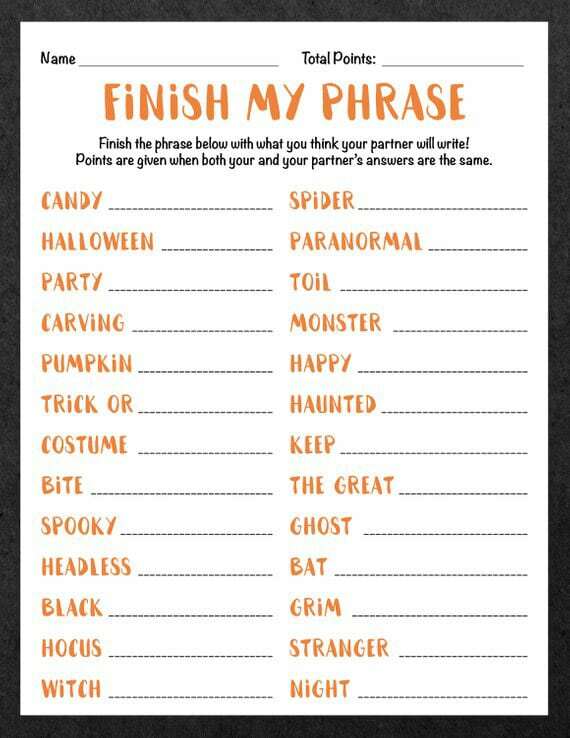 Pick out any of the 10 Halloween party games below and play them in either an individual or team minute to win it competition. Don’t know what that means? Start with my minute to win it games page. 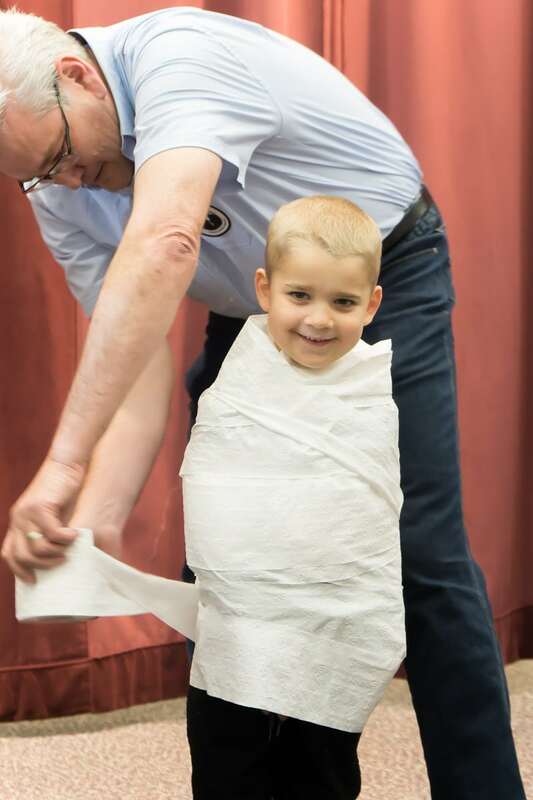 Play: Have two team members work together to wrap up one of the team members like a mummy in toilet paper. Whoever is “the mummy” must be completely wrapped (other than face). Play: Open a large bag of candy and put stickers on the bottom on some of the candy (at least equal to the number of teams you have). 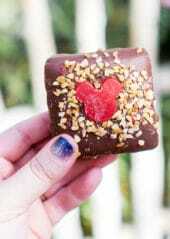 One team member must pick a piece of candy, check for a sticker, and if there isn’t a sticker eat the piece of candy. They must keep picking candy pieces until they’ve found a sticker. Play: Put out a plate of food that the team must eat without using their hands. If you’re doing an adult game, you can do things that might be tougher and grosser to eat (tofu, blue cheese, octopus, etc.) and for kids, a plate full of Halloween themed goodies (cup of dirt, gummy worms, gummy brains, peeled grapes for eyeballs, etc.). Costumes/dress-up clothes like feather boas, Halloween masks, top hats, etc. Play: Have a box full of costume/dress-up clothing and have require one team member to put on 10 (or whatever number) things to complete their costume. Once they’ve dressed up, been approved, and undressed they can move to the next challenge. Play: Using either toilet paper with faces like ghosts or cans like this example, have a pumpkin and “pins” setup. Team member must bowl a strike before they can move on. After they bowl, they must reset the pins (recommend having x’s where pins go). If another team is also at the pumpkin bowling, they must take turns trying to bowl a strike. Play: Before the party put pieces of paper into balloons with treat names (Snickers, cupcakes, candy corn, etc.) and tricks (things they have to do like sing I’m a little teapot, pretend to fly around the room like a witch on a broom, etc.). There should be a lot more tricks than treats (like 5 to 1) but make sure you have enough treats for the number of teams. Put all of the balloons (not blown up) in a bag. Teams must pick a balloon from the bag, blow it up, and pop it. If they get a treat, they move on. If they get a trick they must do the trick then another teammate picks another balloon and repeats until they get a treat. Create a Halloween word scramble or word search and have teams have to complete the scramble before moving on. (the white stretchy kind) in a space (doorway, corner of the room, etc.). Have players stand behind a line and toss little plastic spiders at the spiderweb until they can get three spiders stuck in the web. Play: Players have to put a cookie on their forehead and using only their face muscles (no hands! ), get the cookie from their forehead into their mouth. If the cookie falls to the ground, they must either pick up the cookie from the ground or get a new cookie and start over. Play: Set up a short obstacle course (go around, over, and under things) and make the team member complete the obstacle course while walking like a zombie (or Frankenstein). This game is one of my favorites because it seems like it should be so easy. And it’s not. Not at all. For this game, tape a line on the floor where players will sit or stand. 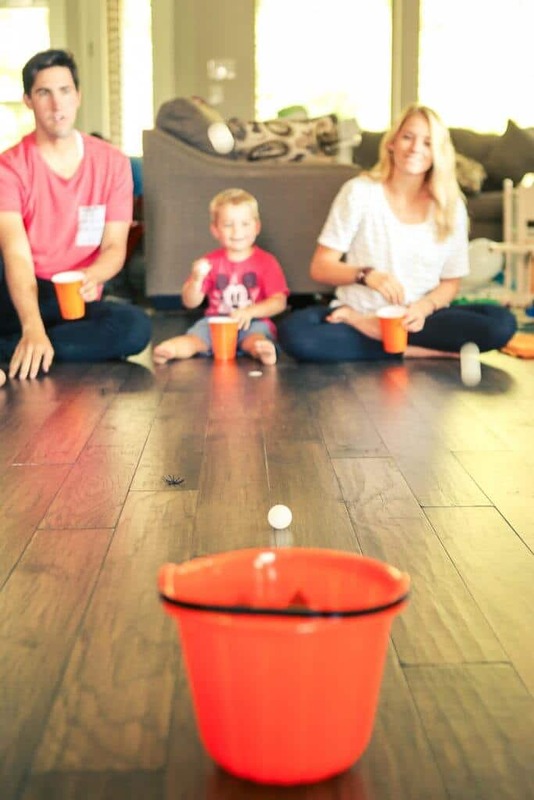 Place a small bowl or Halloween cup full of ping pong balls for each player along the line. Then place plastic pumpkins about 20 feet away in a straight line, one plastic pumpkin per player. 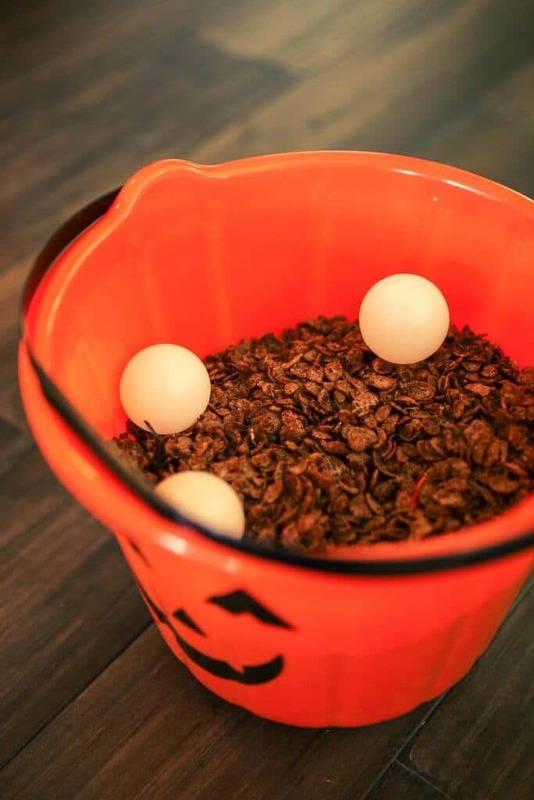 And last but not least, fill the pumpkins half full with Cocoa Pebbles Cereal so that when people bounce their ping pong balls into the bucket, they actually stay in the bucket. When you say go, players must bounce their ping pong balls from the line and try to bounce them into the plastic pumpkins at the end of the line. You can either say the first one to get one in wins or you can give players one point for each ball they bounce in over the course of a minute. To setup the game, fill each of the pumpkin buckets about 3/4 full with Cocoa Pebbles Cereal. It looks kind of like dirt, so it’s perfect for this game. Once each bucket is filled, add in a handful of gummy or plastic insects and shake the pumpkin to mix them into the “dirt,” making sure they are not visible from the top of the bucket. Place one large “dirt” filled pumpkin, one spoon, and one mini pumpkin next to each other on a table for each guest. 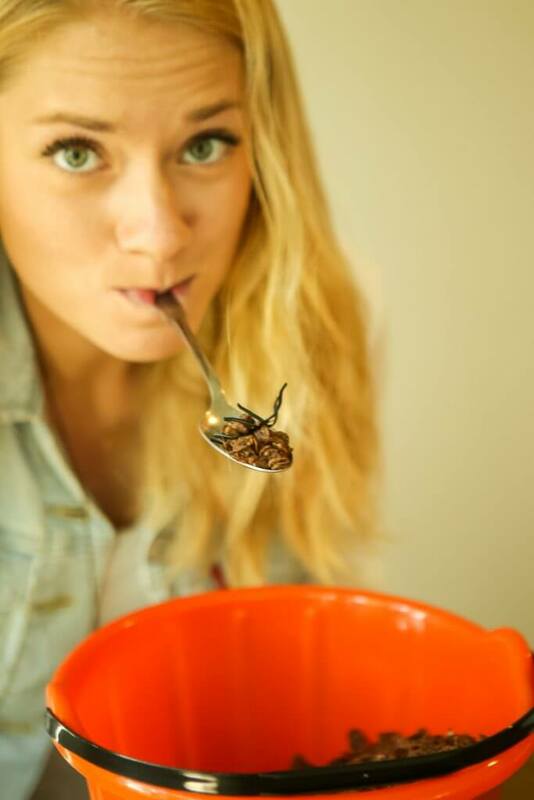 When you say go, players must put the spoon in their mouth and, using only the spoon in their mouth, dig in the dirt for bugs. As they find a bug, they must transfer it using only the spoon from the large pumpkin into the mini pumpkin. Any bugs that are dropped between the large and mini pumpkins must be returned to the dirt to try again. You can either say the first one to get one in wins or you can give players one point for each bug they can find over the course of a minute. To setup the game, place one piece of candy corn in the bottom of a handful of plastic pumpkins. If you’re having everyone play at the same time, make sure you have candy corn in at least the number of pumpkins equal to the number of people (i.e., 10 players = 10 candy corn pumpkins. Cut up the list of tricks into individual tricks and place one into the pumpkins that don’t have candy corn. 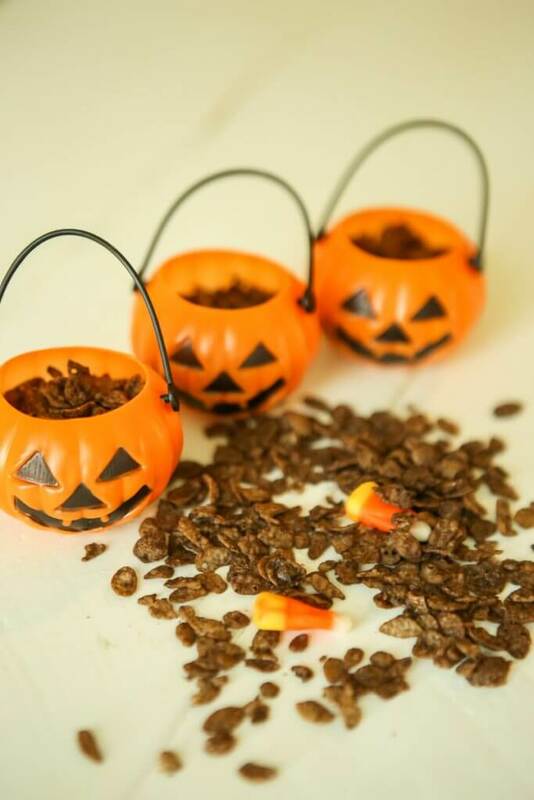 Fill each mini pumpkin about half full with Cocoa Pebbles Cereal. 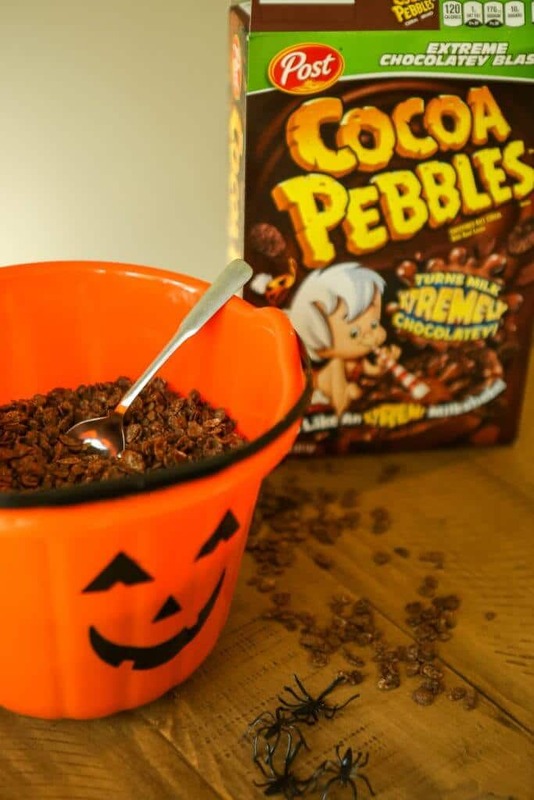 When you say go, players must pick a mini pumpkin and eat the Cocoa Pebbles Cereal to find the trick or treat inside. If they find a candy corn, they’re done and can stop playing. If they find a trick, they have to unroll the trick and do whatever it says (e.g., sing I’m a little teapot) before they pick another pumpkin. You can either say the first one to find a treat pumpkin wins or you can give players one point for each treat pumpkin they find in the course of three minutes. To setup the game, place a 1/4 cup of Cocoa Pebbles Cereal in each of the balloons then blow them up. If you’ve never put things into balloons before, I recommend doing it with a friend. Have them hold the balloon opening up, while you pour the Cocoa Pebbles Cereal inside. This is one of my favorite games to watch because people think it’s going to be so easy. The goal of the game is either to keep all three balloons up in the air for one minute or to keep the balloons up in the air longer than everyone else playing (however you decide to play it). 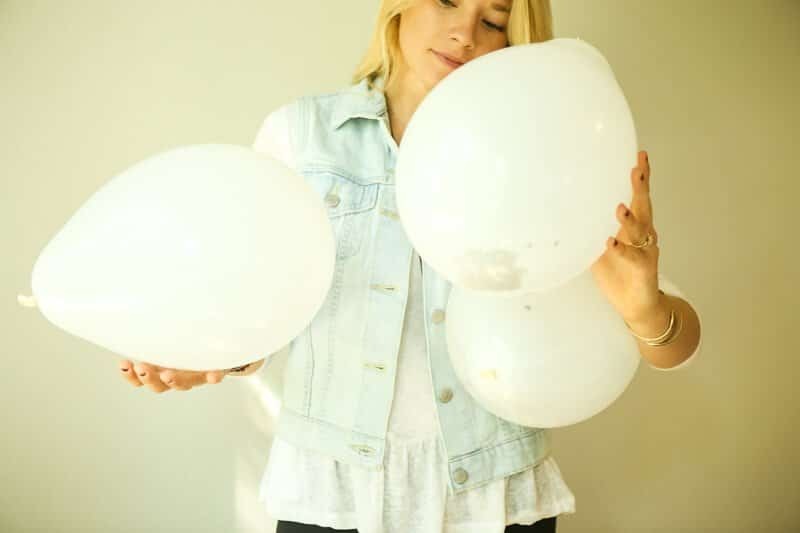 I do this a lot with my minute to win it games, but the fun twist for dead weight is that the Cocoa Pebbles Cereal in the balloons will make the balloons both fall down faster and fall in different directions than a normal balloon might. I recommend having a large enough space for the entire group to do this at the same time or splitting your group up and timing them to see how long they can keep them up. If you don’t want to play minute to win it style games, here are some other awesome Halloween games that are great for kids! Hang your mummy up on the wall. Allow each player to choose a sticker from your Halloween sticker book. Spin them around three times and point them in the correct direction. 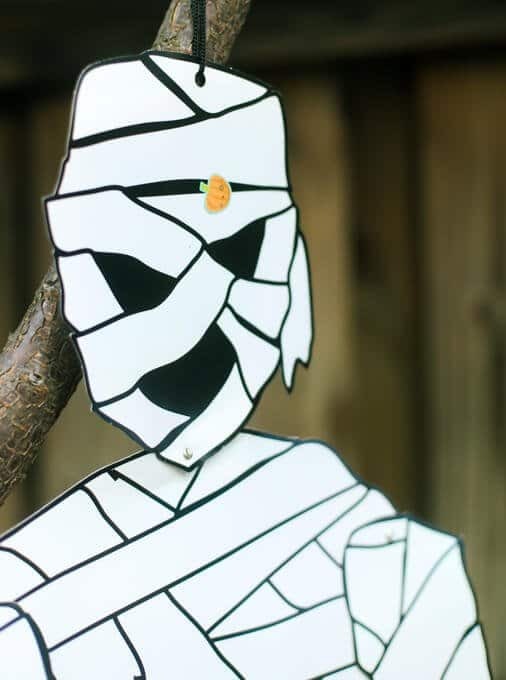 Players must try to stick a Halloween sticker on the mummy and if they do, they win a prize. Two prizes for getting it on the mummy’s face. 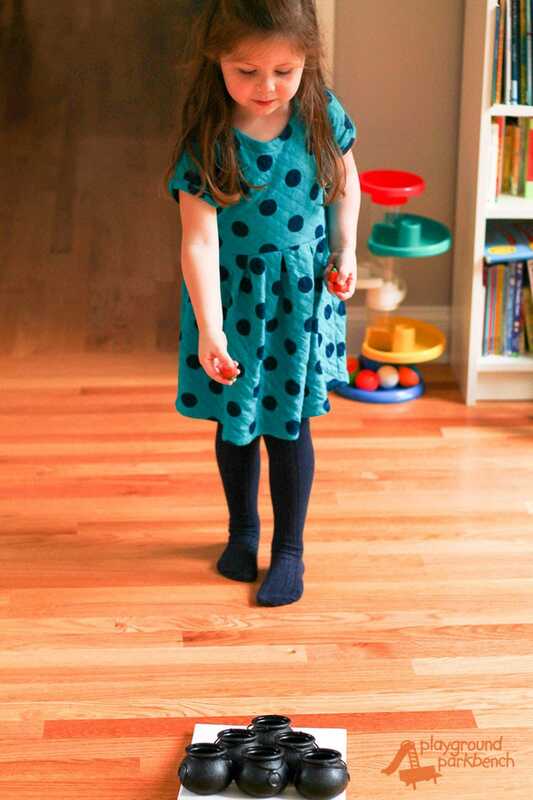 For Younger Kids: Don’t blindfold them or spin them. Basically the idea is to stick the sticker on the mummy and get their prize. Paper, cut up into small strips or squares. Write a different number on each of your pumpkins. Write the same numbers on each of your slips of paper. Put the slips of paper into a bowl. Tape paper pumpkins on the ground in a large circle, just a few inches from each other. Have all of your players stand on one of the pumpkins to begin the round. When you turn on the music, players must hop from one pumpkin to the next. Stop the music at some random time (i.e., not at the end of the song) and all players have to hop onto a pumpkin. 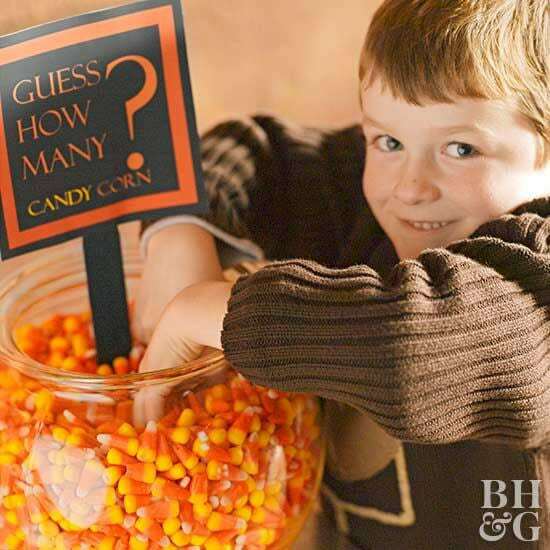 Pick a number from the bowl and that person wins a Halloween treat. For Younger Kids: Do much smaller treats and everyone wins a treat each round, like something small like a spider ring or a sticker. Print out this free Halloween scavenger hunt and setup clues around the house with a pumpkin full of treats or little prizes at the end! 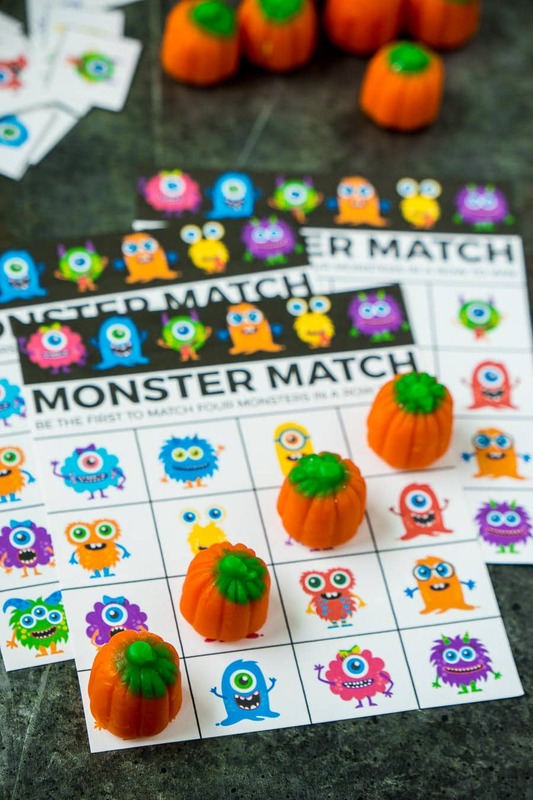 Print out these free Monster Match Halloween bingo cards and see who can match up four monsters in a row first. 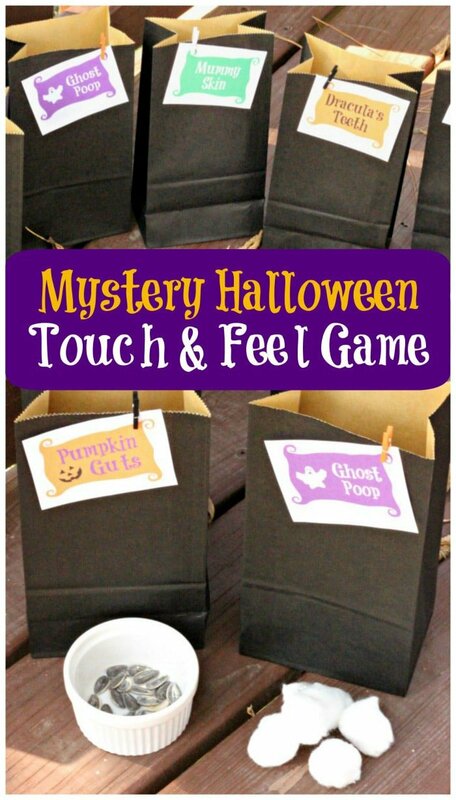 This is the perfect Halloween game for classroom parties! Or if you don’t want to go the monster route, here are some other fun bingo cards! 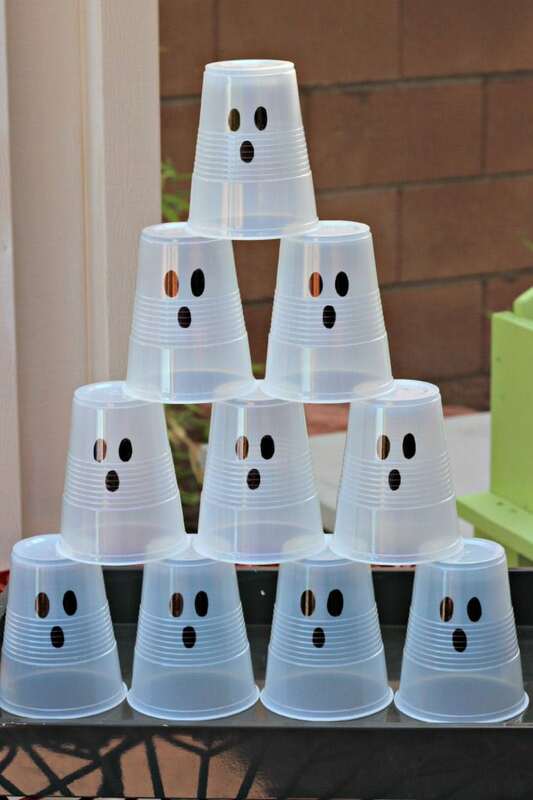 Stack up ghost cups like these ones and have kids try to knock them down by shooting Nerf guns from 10 feet away. Get more fun ghost games from Organize Your Stuff Now. Spray paint Tupperware containers orange and put creepy food inside for kids to touch and guess what it actually is. Get a full list of great creepy food ideas and what they represent (e.g., cooked spaghetti = brains) from Christina’s Adventures here. 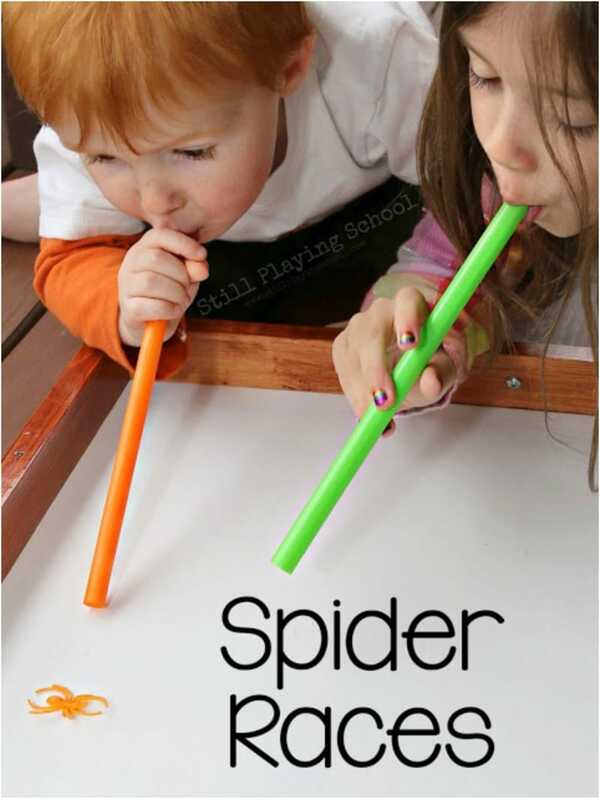 Give kids a straw and a plastic spider and have them see who can get their spider across the finish line first. Full details and instructions from Still Playing School here. Give kids candy pumpkins and have them toss them into plastic cauldrons to see who can get the most points. Full instructions from Playground Parkbench. 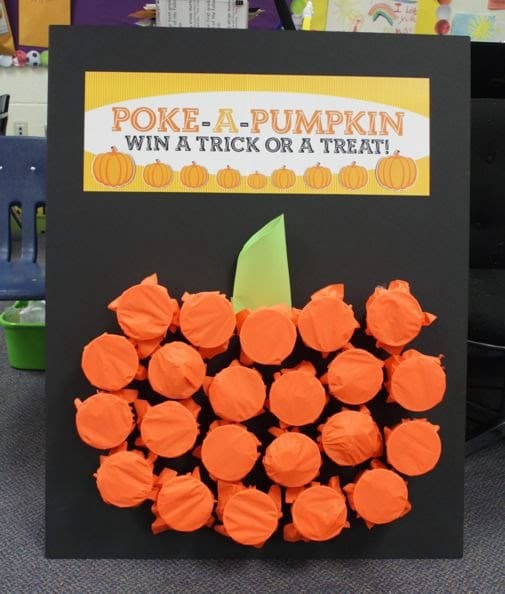 Similar to this gratitude game, create a punch board that looks like a pumpkin with tricks and treats inside! 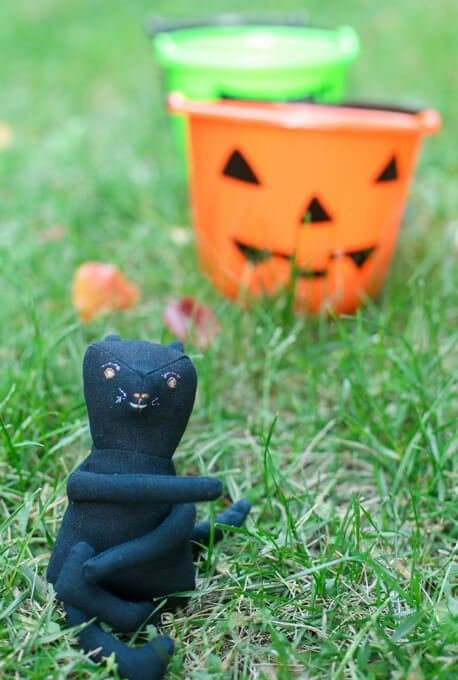 Get full instructions on how to make a poke a pumpkin from Project Denneler here. 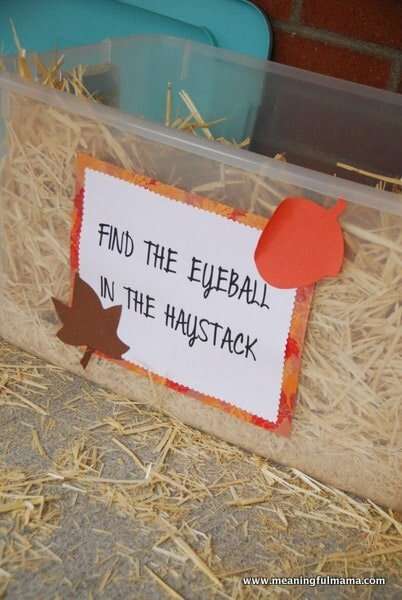 Kids have to search for candy eyeballs in a stack of hay. 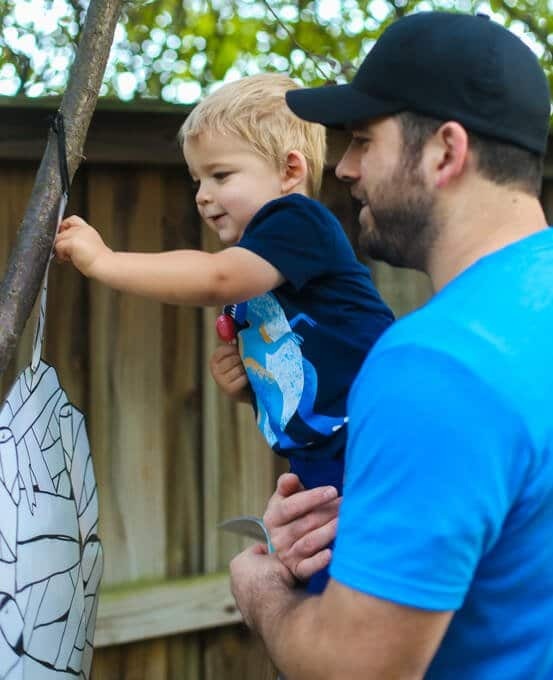 Get full instructions and more harvest party ideas from Meaningful Mama here. Hosting a Halloween carnival? Try one of these fun Halloween games that are designed just for a carnival! They could also be played as regular Halloween party games too but are much more fun as carnival games! 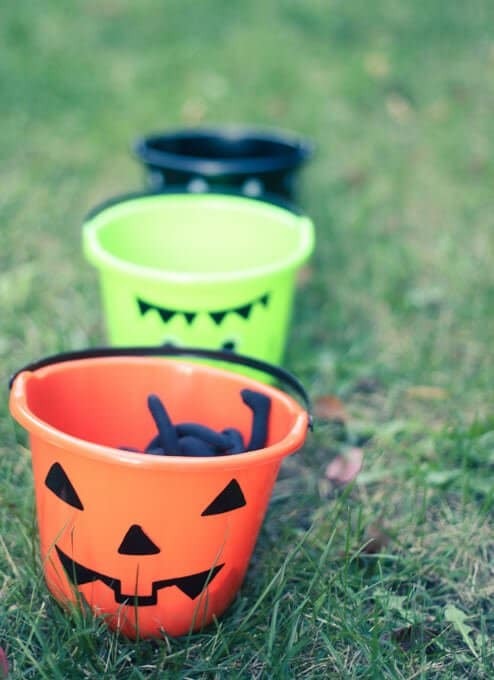 Set up three Halloween buckets in a straight line, equal distance from each other. Tape a line a couple of feet from the first bucket and place the black cat by the bucket. 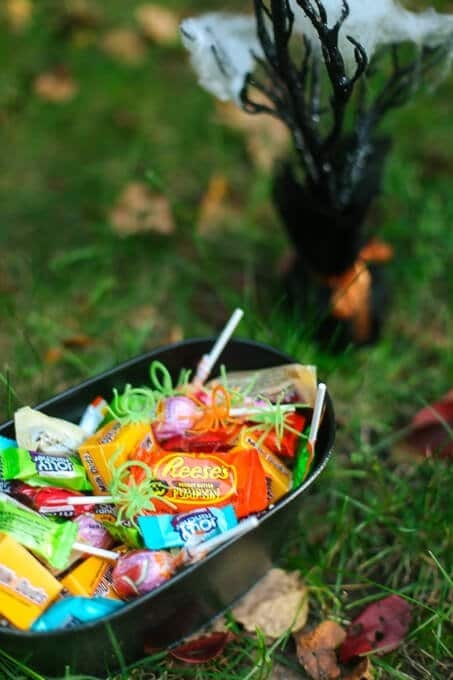 Fill each of the buckets with a different type of prize or Halloween candy (see list of prizes below for ideas). Give each person three chances to toss the black cat into one of the buckets. If they make it into the bucket, they receive the prize that’s in that particular bucket. If someone makes a black cat into each of the three buckets, they win a bigger prize! For Younger Kids: Put the tape line right in front of the first bucket so they’re really dropping the black cat into the bucket of their choosing and only allow them to choose one prize, not all. 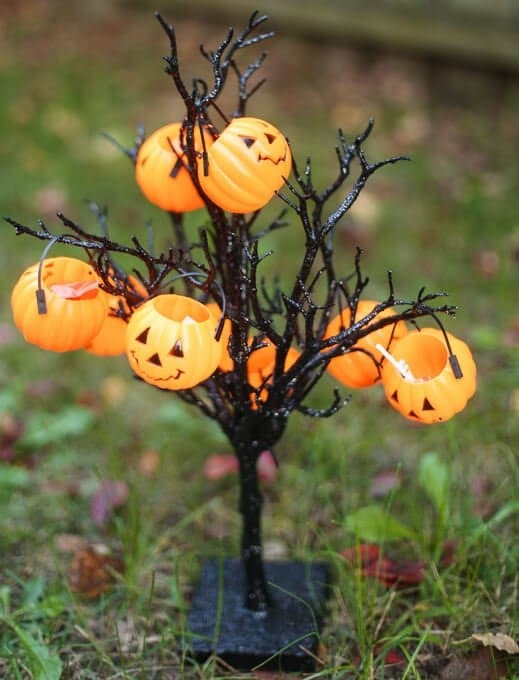 Set up your Halloween tree(s) in a line. Tape a line a couple of feet from the trees. Give each person three spider rings toss at the Halloween tree. If the spider ring sticks on the spider web, they win a prize. If they get all three of the spiders on the web, they win a larger prize. For Younger Kids: Put the tape line right in front of the tree so they’re really dropping the spider rings onto the tree d only allow them to choose one prize, not the big one for all three rings. This makes the Halloween carnival games a bit easier for them! 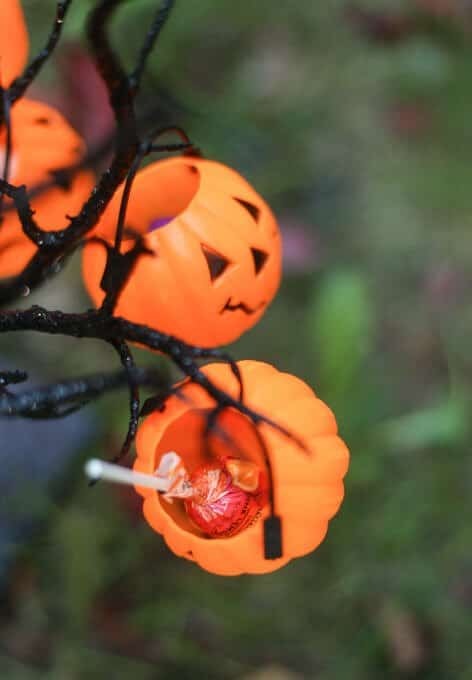 Fill each of the pumpkins with a trick or a treat then hang on the tree. Check out the full instructions for the carnival games and the printable “tricks” in this post. Fill each pumpkin with a treat or prize. 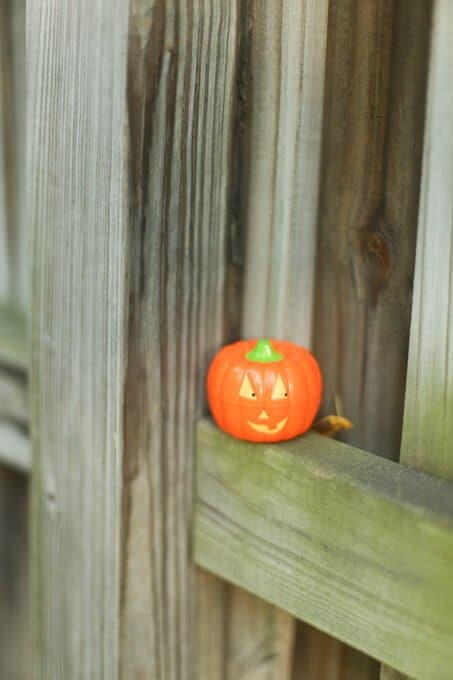 Hide pumpkins around the room or yard. When it’s their turn, have the child go and find a pumpkin and open it for their surprise. If you have plenty of pumpkins, let them pick 2 or 3 pumpkins with surprises inside. For Younger Kids: Don’t hide them very hard. 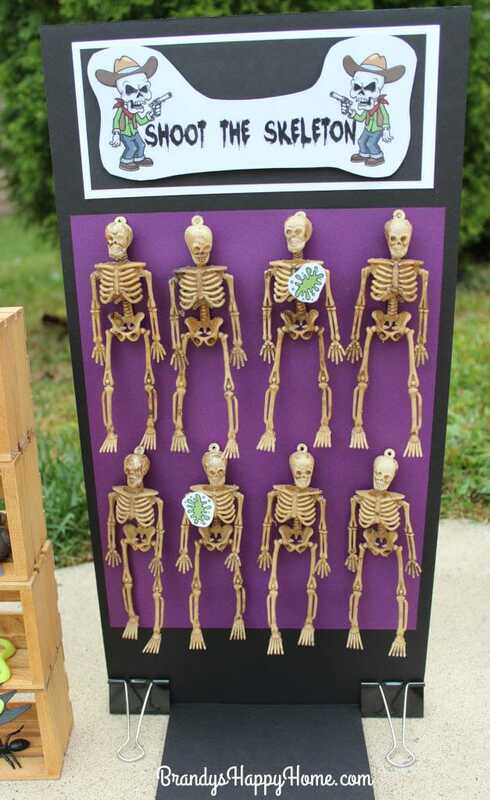 Hang fake skeletons on a board and let kids shoot them with slime to win a prize. Full DIY instructions and rules for the game from Brandy’s Happy Home here. 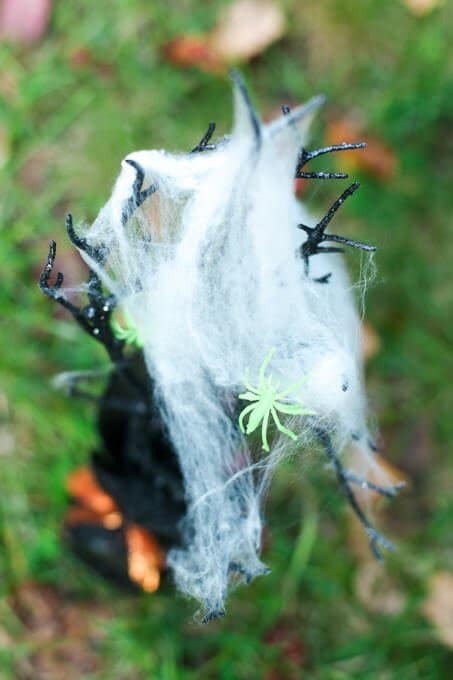 Using just popsicle sticks, plastic spiders, and plastic cups – see who can launch spiders into a web or a bucket. Full instructions and DIY directions for making the launchers from Frugal Fun 4 Boys here. 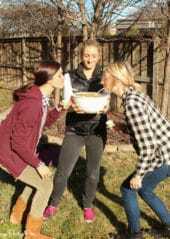 Any of the minute to win it games above are perfect Halloween party games for adults but if those don’t work, here are some more great ideas! 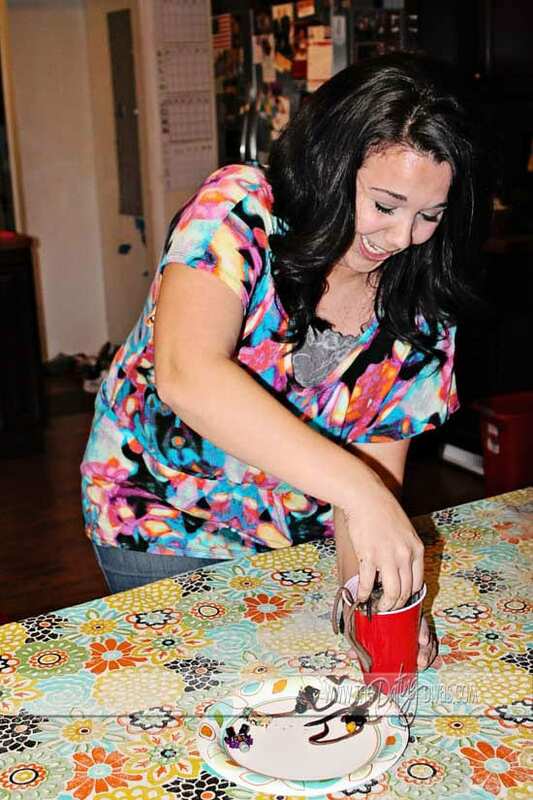 You could also just make any of these party games for adults Halloween themed! 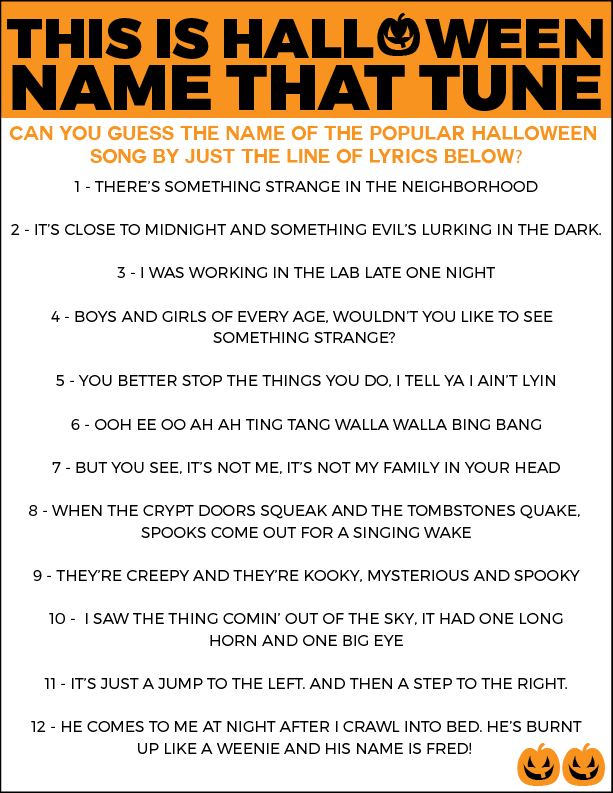 See who can come up with the real name of these spooky songs in this free printable Halloween game. Put together a list of Halloween related words like Jack-O-Lantern, Friday the 13th, and more then play Reverse Charades, which just means one person guesses while the rest of the team acts! 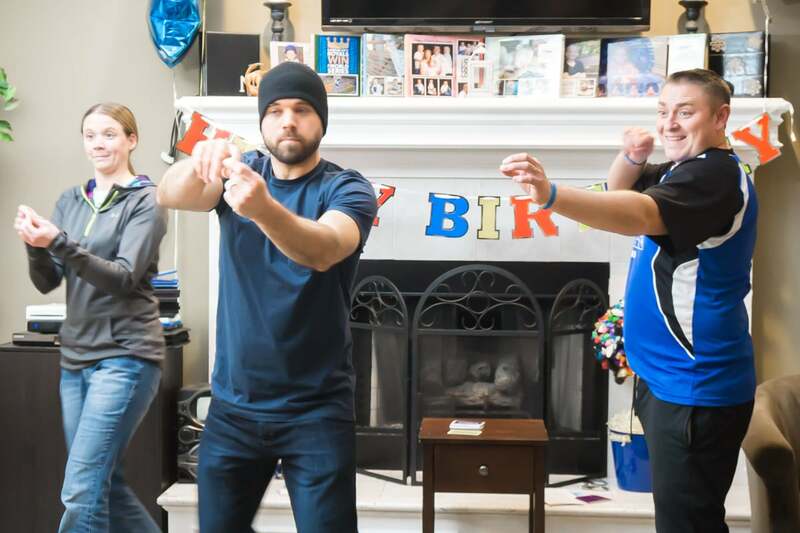 Full instructions on how to play Reverse Charades (and other fun adult party games here). If you’ve ever seen the TV show, this is a way to bring that TV show to life in an adults-only way! 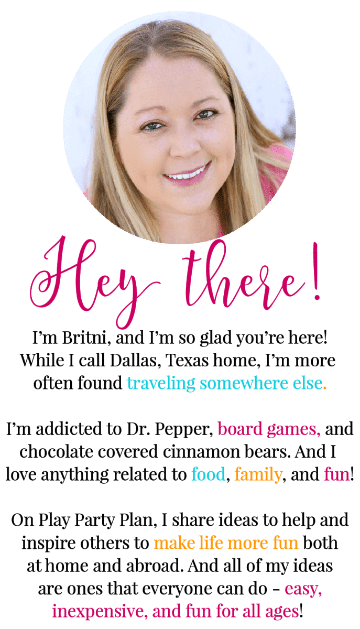 Get creepy challenge ideas (like touching actual worms) and free printable invitations from Dating Divas here. A Halloween version of a classic favorite. Roll a letter and se what Halloween themed words you can come up with without matching others. 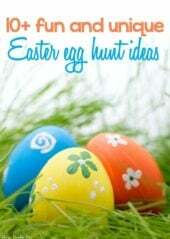 Get the printable and more instructions from Let’s Get Together here. This is a personal favorite to play all year long but also works great for Halloween! Everyone gets a card that tells them if they’re a villager or a Werewolf. Everyone closes their eyes and the werewolves “kill” someone. 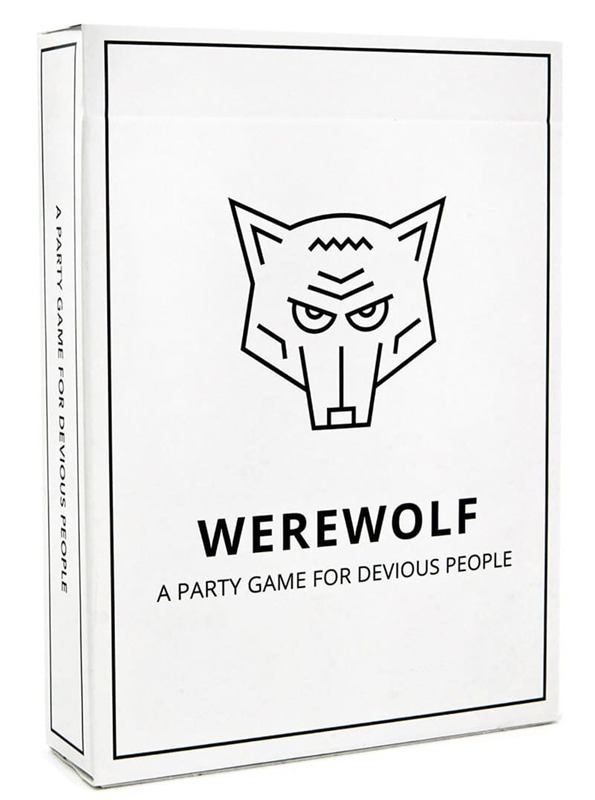 Then the entire group has to decide who they think did it and one by one try to figure out who the werewolves are. Get the game and more details here! We played this both when I visited Pixar and during the Christopher Robin red carpet event, and I was killed the first round both times. I’m apparently too good at this game. 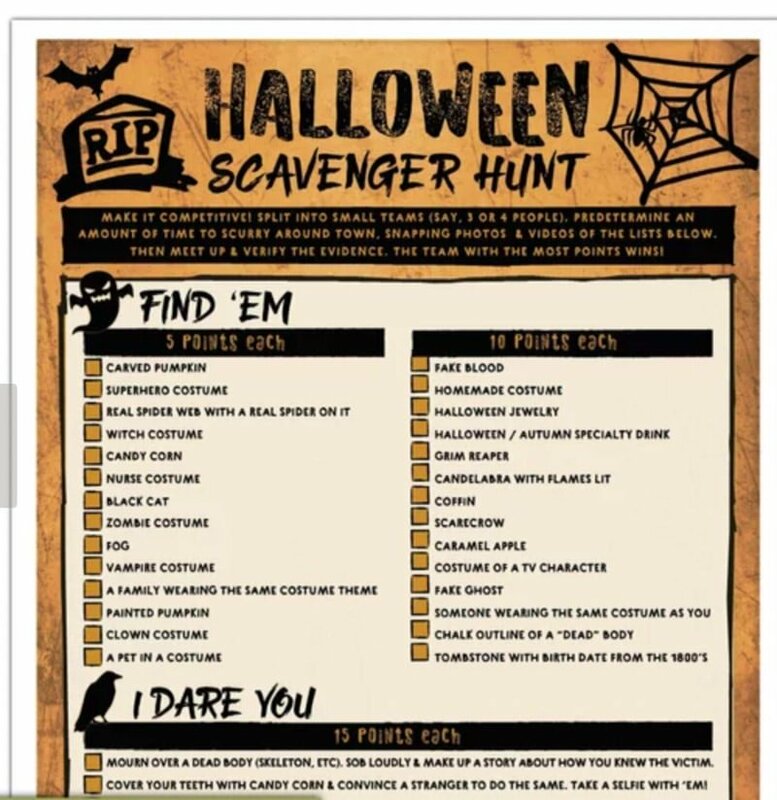 See who can earn the most points by completing these Halloween dares that are better for adults than kids. Get the printables and more instructions from Wild Truth Designs here. Who really knows their Halloween movies? 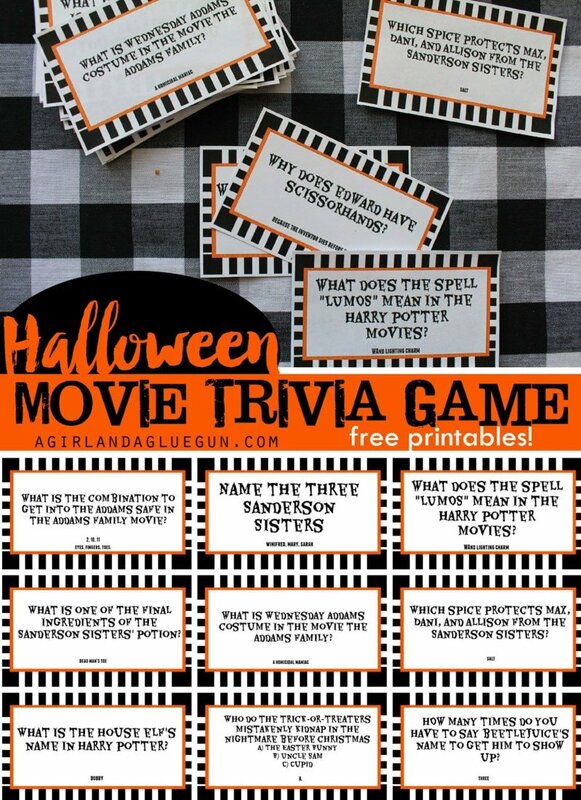 Find out with these free printable Halloween movie trivia cards from A Girl and a Glue Gun! There’s both an adults version and a kids version if you want to play both! I get emails from my readers often asking about games for seniors, so I thought I’d put together a little section here with Halloween games that would work well for senior citizens! 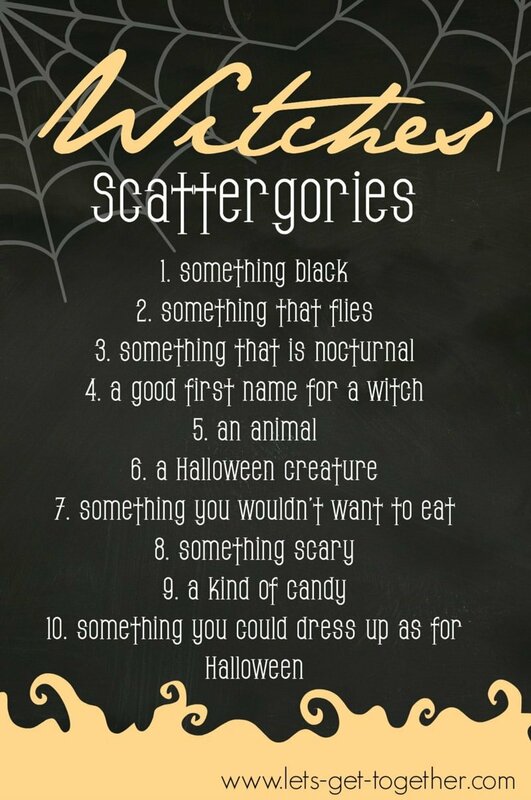 Any of the printable Halloween games (Scattergories, Movie Trivia, etc.) above would work as well! 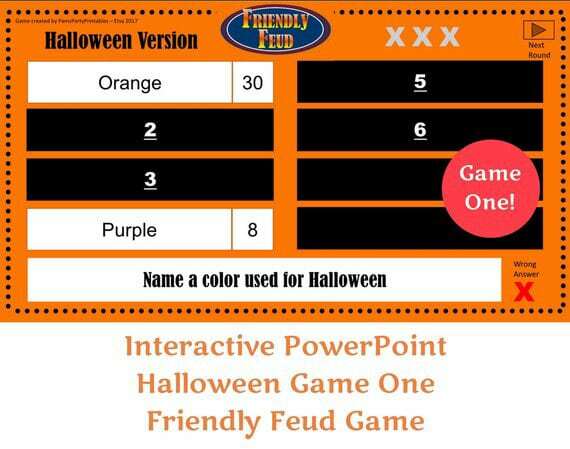 A friendly Halloween version of the popular game show Family Feud – teams compete to see if they can guess which answers are the most popular to win points. Get the printables and questions/answers from Pam’s Party Printables here. Guess How Many Candy Corn? Put a bunch of candy corn in a bowl and give a prize to whoever can guess the closest to the actual number. Get a free printable game sign from Better Homes and Gardens here. 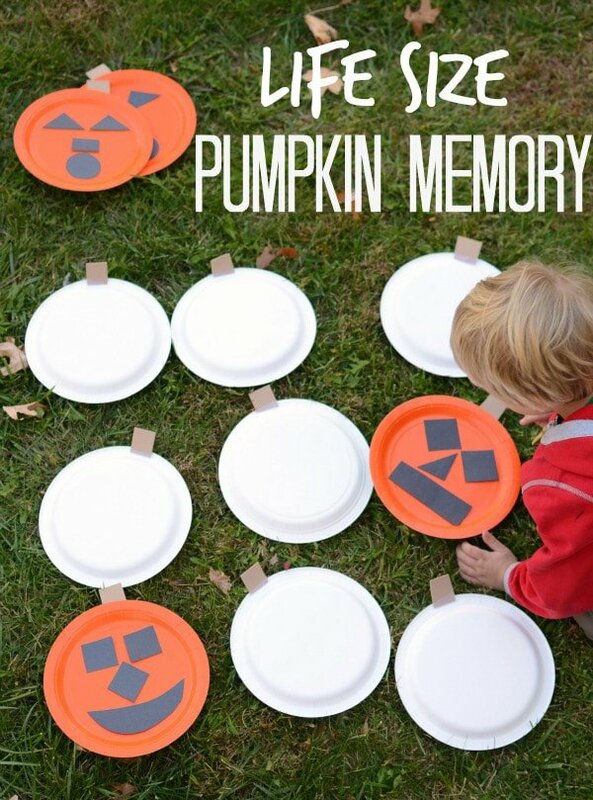 This is a simplified version of pumpkin memory here but make it a little more challenging for seniors by adding in various types of Halloween characters such as bats, cats, and witches! 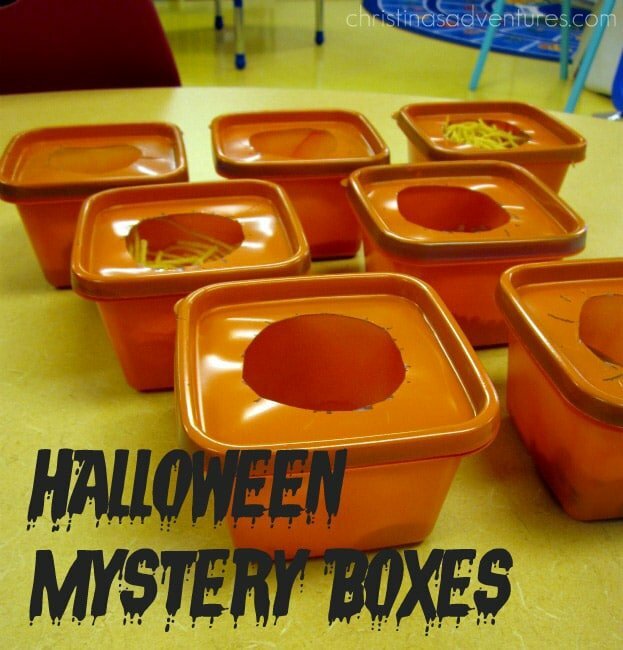 See who can figure out what’s inside these Halloween inspired mystery bags by just reaching in and touching the contents. Get great ideas for stuffing the bag from Edventures with Kids here. Put people in partners and see if they can guess what the other person will write for each fill in the blank. Get the printable from Adorably Allie here. If you don’t want to make your own Halloween games, these ones are available to buy right now! Pick prizes for the Halloween games that make the most sense for the game you’re playing. If it’s a team game – go for a prize that a team can split. If it’s an individual, go a little bigger! like you can pick up at Walmart, Target, etc. 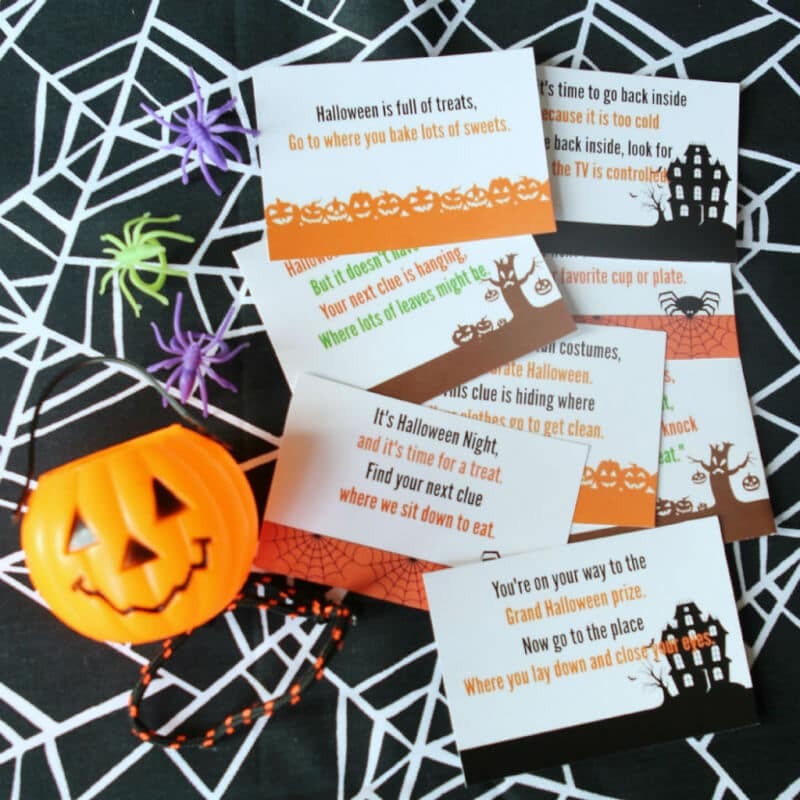 Don’t forget to pin these Halloween games! Thank you for all these game ideas! Face the Cookie game sounds like a lot of fun! I can just imagine the funny faces people will make in this game. Pinned! Ritchil, Face the Cookie is definitely one of my favorites to watch. Hope you enjoy the rest of the games as well. This game looks like a blast! 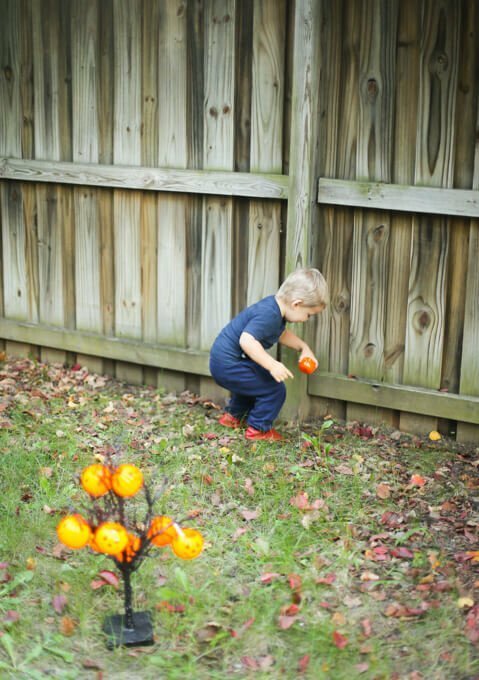 I am creating a post with last-minute Halloween party ideas on my site (OneCreativeMommy.com). Would it be okay to include your image and a link to your post? I am always looking for games and my sons school just sent home a note about some fun activities and this may be one of them. Great ideas for games. I’m pinning to my Halloween board. Those look like really fun games! Thank you for sharing. So much fun! Cannot wait until my kid and all his friends are old enough for games like this. We are a party family, too. Pinning! What great ideas! Totally pinning!